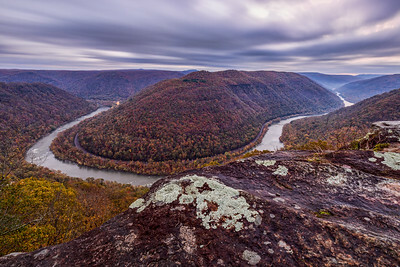 Primarily held in the New River Gorge and the Potomac Highlands regions of West Virginia, my workshops are available to anyone who wants to learn more about landscape photography. These workshops are also perfect for folks that don't need much or any instruction, but want to be in the right places at the right times, and enjoy the camaraderie of fellow photographers. Attendance is limited to small groups to allow for more personalized and one-on-one instruction. All of the workshops will cover topics such as proper and long exposures, filter and lens choices, ISO, creative composition and more. 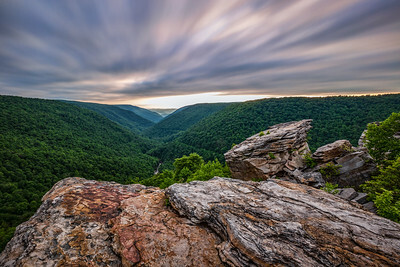 Sign up today and join me on a photographic adventure in West Virginia and see for yourself why it is known as Almost Heaven! 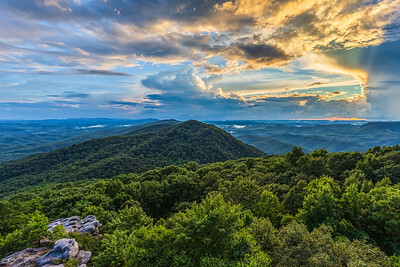 *In 2019, I am also once again offering a workshop in Southwest Virginia. The inaugural session in 2018 was a huge hit, and I'm expanding on it by adding a couple days to the itinerary. You'll love all this area has to offer! 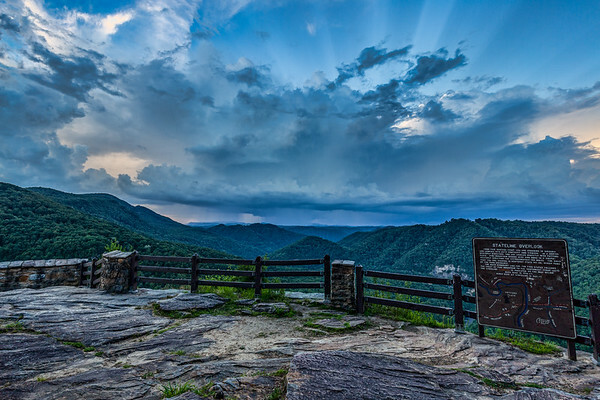 This workshop will cover digital photography techniques while capturing images in spectacular locations in the mountains of Southwest Virginia - and we'll venture into Eastern Kentucky as well. We'll work on subjects such as long exposure, creative composition, filter use, panoramas, and more. 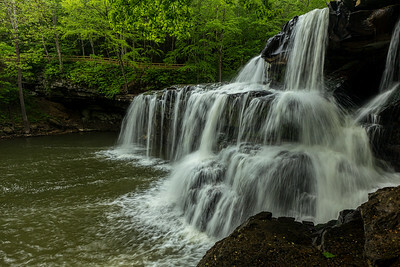 This workshop will include sunrise/sunset and waterfall photography. Historically, the new greens of spring will be emerging throughout the region and the creeks will be flowing nicely. Primary locations will include Breaks Interstate Park and a couple areas of the Jefferson National Forest. Workshop tuition is $395. You are responsible for lodging, meals and transportation. To reserve your spot in this workshop, message me at randy@randallsanger.com and additional information will be provided. Group size: 7 participants. Sold Out! Please email me to be added to the waiting list. 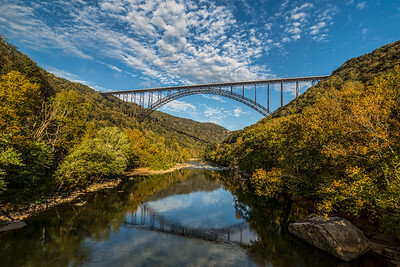 This workshop will cover digital photography techniques while capturing images in spectacular locations in and around the New River Gorge region of West Virginia. We'll work on subjects such as long exposure, creative composition, filter use, panoramas and more. 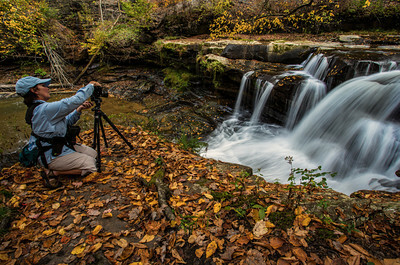 This workshop will include sunrise/sunset and waterfall photography. Various wildflowers will be in bloom at this time and we'll be sure to spend time capturing those as well. Primary locations will include Grandview, Babcock State Park/Glade Creek Grist Mill, Beauty Mountain, the New River Gorge Bridge, the historic ghost town of Thurmond and numerous waterfalls. Workshop tuition is $475. You are responsible for lodging, meals and transportation. To reserve your spot in this workshop, message me at randy@randallsanger.com and additional information will then be provided. Group size: 7 participants. One Spot Available. 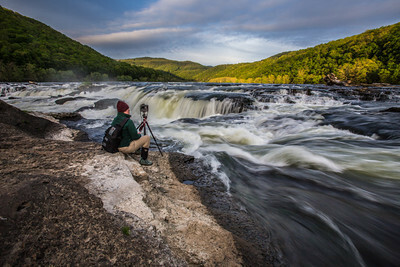 This workshop will cover digital photography techniques while capturing images in spectacular locations in the Potomac Highlands region of West Virginia. We'll work on subjects such as long exposure, creative composition, filter use, panoramas, astro-photography and more. 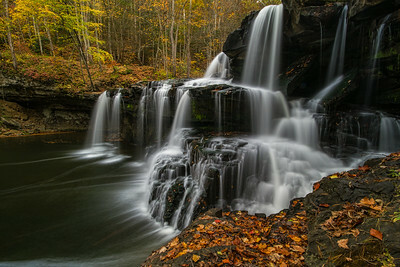 This workshop will include sunrise/sunset and waterfall photography. 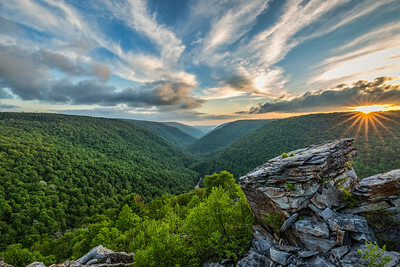 Primary locations will include Dolly Sods Wilderness, Blackwater Falls State Park, Canaan Valley National Wildlife Refuge and the Monongahela National Forest. Workshop tuition is $395. You are responsible for lodging, meals and transportation. To reserve your spot in this workshop, message me at randy@randallsanger.com and additional information will be provided. Group size: 7 participants. One Spot Available. 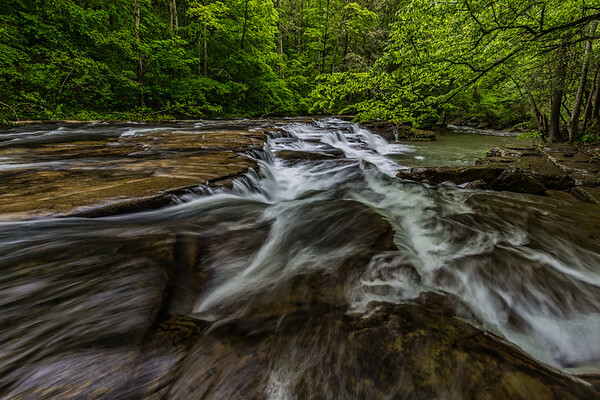 This workshop will cover digital photography techniques while capturing images in spectacular locations in and around the New River Gorge region of West Virginia. We'll work on subjects such as long exposure, creative composition, filter use, panoramas and more. 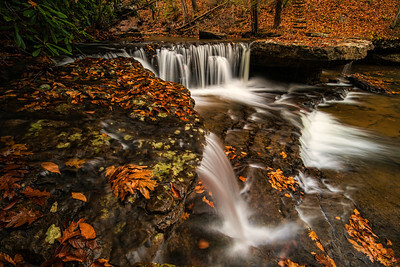 This workshop will include sunrise/sunset and waterfall photography. Autumn colors will be close to peak or at peak in certain areas at this time. 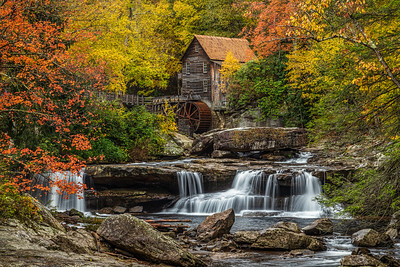 Primary locations will include Grandview, Babcock State Park/Glade Creek Grist Mill, Beauty Mountain, the New River Gorge Bridge, the historic ghost town of Thurmond and numerous waterfalls.Workshop tuition is $475. You are responsible for lodging, meals and transportation. To reserve your spot in this workshop, message me at randy@randallsanger.com and additional information will be provided. Group size: 7 participants. Sold Out! Please email me to be added to the waiting list. *2019 Spring Dates are Full - Limited Dates Remain for Summer and Fall - Book Your Session Soon! "The first time I saw Randall's photos, his style and passion for creating beautiful images impressed me greatly. After taking one of Randall's workshops, I was inspired to pursue my passion for the craft. Thank you for being a wonderful mentor, and I look forward to seeing what's to come from you." "This was my first photography workshop ever, and I’m glad I chose Randy for the experience. His relaxed and friendly manner made it easy to ask questions, and his explanations of technical and artistic aspects were clear. I was less experienced than most of the others in the workshop, but that was not at all intimidating. His approach to teaching put me at ease from the beginning. His associate, Martin Radigan, was equally helpful and clear. These two guys complement each other extremely well. 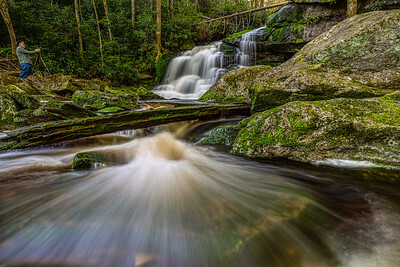 The Canaan Valley/Dolly Sods region is full of photographic opportunities, and many are hard to find. Randy’s extensive knowledge of the area took us to parts of it that I was not aware of, despite having lived nearby for over twenty years. It was strenuous at times; shooting at Bear Rocks involves scrambling over a bunch of large boulders in near-darkness, but the results were well worth it. 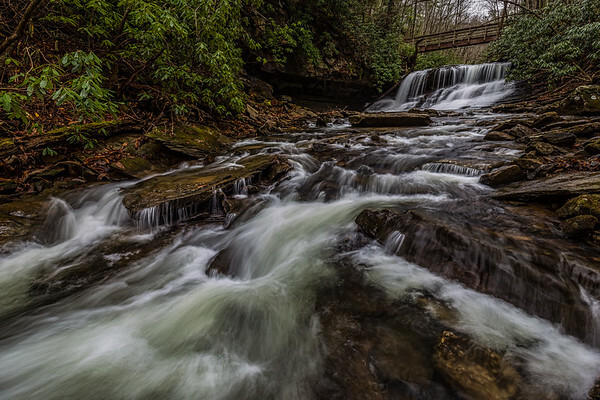 I hope to take more of Randy’s workshops, probably the New River Gorge, in the near future." 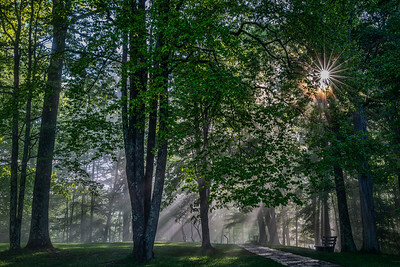 "I participated in the Spring 2016 photography workshop in the WV Highlands, led by Randall Sanger. The entire workshop experience was phenomenal. 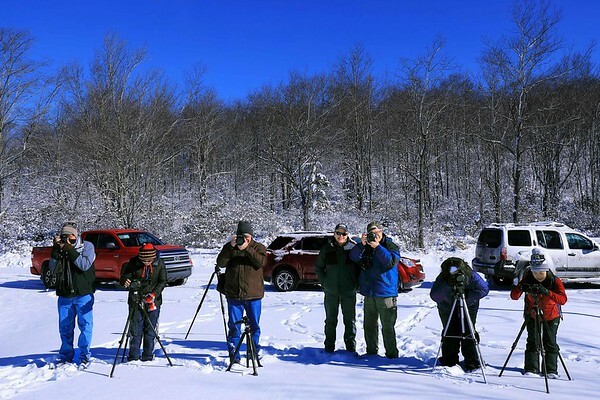 To begin with, the instructor used his extensive knowledge of the Highlands area, in conjunction with the local weather conditions, to choose locations that allowed the participants to photograph scenes during optimal conditions. While the instructor was always nearby and willing to offer helpful hints or answer questions, he allowed each participant to individualize his or her own composition. Although the schedule was organized to maximize time spent in the field, it was also flexible enough to accommodate the interests and wishes of the participants. The genuineness and expertise of the instructor, the natural beauty of the area, and the sense of camaraderie generated within the group were the perfect combination! If you are interested in developing your photography skills in an outstanding environment, I highly recommend any workshop led by Randall Sanger." "I had an absolute blast during the 2016 Spring WV Highlands Workshop. It was truly a pleasure to meet you and learn some new techniques that will undoubtedly bring my photography to an improved level. Your advice on the concepts of composition, filters and their use, settings for the different environments all came together while “in the field.” I was able to shoot photos of things I have never had the opportunity to photograph: waterfalls, stars, Milky Way, etc. and I appreciate your patience as I took advantage of every opportunity afforded to me. I hope the others are as pleased as I am with the images created. Everything was as planned as it could be but itinerary structure was loose enough to flex to what the weather allowed so we were never bogged down. I need to get back there in the fall! Thanks again!" "Thank you Randy! I greatly enjoyed the workshop as well as meeting you, Martin and the others. I feel more inspired and motivated than ever to continue my growth in photography. The Potomac Highlands area of West Virginia is truly beautiful and I look forward to getting back. 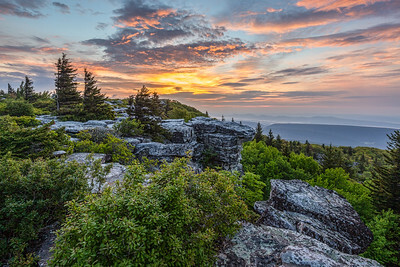 Although Dolly Sods and some of the other locales were a challenge to reach for an old guy, they were more than worth it and I plan on a revisit on my own to see them in a Fall perspective. Given my novice status, I'm really happy with the pictures I took (big step up from my previous work on "A") and look forward to tweaking them in Lightroom/Photoshop (in which I'm also a novice at this point) and sharing some of them with the group." "I am not normally a workshop person as they often feel a bit rushed and constrained, with everyone making similar photographs in relatively small areas as the group moves from one iconic spot to the next. 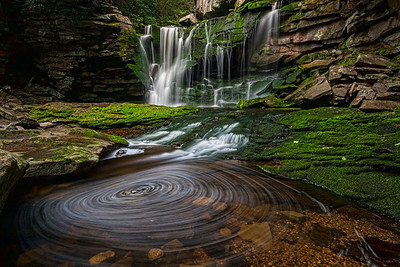 Most of the locations on Randall’s workshop, however, encompassed large enough areas that those who wished could spend time on their own exploring a variety of approaches to photographing the many possible subjects and scenes available at each stop. While Randall provided helpful information and discussed what sorts of compositions were his favorites at each location, I was able to do my own thing at a comfortable pace. At the same time, Randall was available for more detailed guidance and instructions for those who wanted it. I enjoyed the experience so much that I immediately signed up for another trip in the fall." "Just got finished taking the Spring 2016 New River Gorge Photography Workshop, and all I can say is WOW! From start to finish this workshop packed in everything phenomenal about the Gorge you could ask for. Randy really takes the time to get with you to find out what you may be struggling with so that he can assist you immediately and you can continue getting in there getting the shots you want. Even though I felt like I was under experienced than most of the other participants I was never made to feel that way. Everyone was so encouraging and we made sure to help each other as much as possible along the way, while still having fun. The weather on this trip made it a challenge to get where we wanted to go and to capture the images we wanted to capture but regardless, Randy made sure to take us to the locations anyway to see what we could possibly get on a better weather day. If you are thinking or have been thinking about taking one of Randy's workshops just stop thinking about it and do it. I thought for months if I was even at a level to even take the workshop experience wise, but you can be a novice or an expert and this workshop will work for you. Randy goes above and beyond what most other photographers would do to help you achieve your goal of getting the perfect images. Besides being just an all-around awesome person, he is also a wonderful photographer that makes sure he is helping you hone in your skills rather than hindering your skills. Do not wait!!! These are too good to pass up!!! Thank you Randy for showing me that I can actually do this." "I had an absolute blast and it was by far the most beneficial thing I have done so far since I have started photography. I really appreciated the time you took to really show me how to shoot. I have really struggled since I started and to have someone that is willing to really show you, you can't put a price on that." 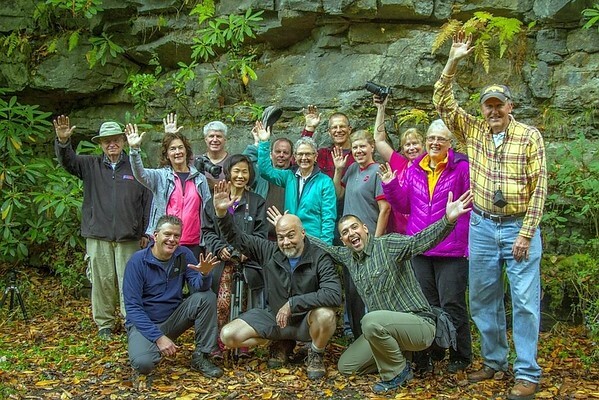 "Thank you for another awesome fun filled, adventure thrilled, epic photography workshop!" 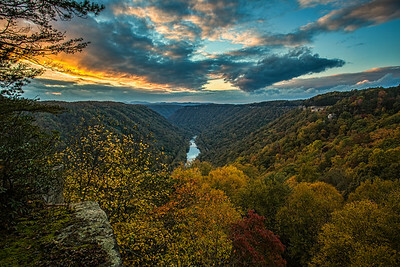 "I have explored the beauty of the New River Gorge with Randy in the fall and was certain he could continue to have me improve my photography if I traveled to the OBX. Stating the obvious, "I wasn't in Kansas anymore!". The landscape, sites and shooting destinations were all together different from the mountains and streams of West Virginia. Randy's patience again was much appreciated. He was able to explain how the extremes in exposure range, compositions "doing most of your work in camera" were key to my being able to capture several good images which I might have taken only as snapshots before and would have had to accept them as "OK". You will not be disappointed with how the workshops are conducted and his uncanny ability to assemble groups with great chemistry. My work has improved since working with Randy, or I should say.......since Randy agreed to work with me. If you wish to experience quality instruction in quality locals, then you need not to look any further. A great Mini Vacation and loved the relaxed structure of the workshop." "The April 2016 Outer Banks workshop is the third Randall Sanger Photography workshop I’ve taken. Each has been very worthwhile, in terms of both tips for improving my photos and getting to terrific photo subjects. Randy knows good locations and the best times of the day for them, and is always willing and able to help workshop participants with any questions, whatever their experience and level of skill. I hope to participate in additional workshops, and recommend them to others." "I have just completed my first Workshop with Randy. I know one thing for sure, it wont be my last one. It was a one-to-one workshop that he tailored to my needs and preferences. I have taken several workshops around the world but what sets this workshop apart from the other ones, is that Randy doesn't have a strict schedule. he works the light and adjust to weather conditions accordingly , keeping in mind your personal preferences. I also liked how he guides you through your photography after you take the photo, not before you do so. That makes a huge difference. Instead of literally telling you what to do , he observes your photography and then intervene where necessary. I have learned a lot from Randy." "Even a blind squirrel finds an acorn every once and a while. So it was for me when I found the article about Randall Sanger in the April edition of WV Living magazine. You see, I have enjoyed being a hobbyist with photography for a long time, but had become frustrated with not being able to put it all together. I saw the images in the magazine and immediately jumped on the website and was amazed. I was also shocked to find a link to workshops with Randy. I BOOKED and now I'm HOOKED! Randy was able to assist me with technique, composition and lots of 'one on one' instruction. I feel more confident having had the experience of his workshop and can say that I was able to bring home lots of images which I will not hesitate to show others. He assembled a small group with a lot of chemistry and the four days were full of fun and great humor. A "must do" if you want to improve your photography." "I have followed Randy's work for some time, and greatly admired his images. I had some vacation days to fill, and saw that he had some availability in one of the Fall workshops. It turned out to be far more than I expected. Thursday evening through Sunday morning doesn't seem like a lot of time, but we saw so many beautiful locations that my head is still spinning. He is very efficient with the groups' time, as well as knowing where is the best place to be according to the light and weather conditions of the day. He is a great teacher, and I learned many new skills. My work can only improve from attending this workshop. He is a great person as well, and it was a tremendous pleasure to meet him. West Virginia hasn't seen the last of me, and neither has Randy!" "Earlier this year I participated in my first Randall Sanger photography workshop that was held in the Canaan Valley/Potomac Highlands. I learned so many things, that I attended his fall workshop in the Canaan Valley/Potomac Highlands as well. 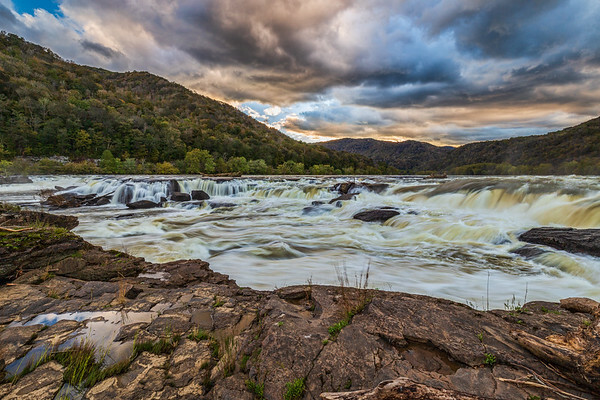 I feel that his Potomac Highlands workshop provides opportunities for photographers of all skill levels ranging from the newbie to someone with many years of experience. We visited many places that I would not have been aware of or been able to visit on my own. Randy is a fabulous photographer that is willing to share his knowledge with others. Randy was also very prompt in replying to my emails with all my questions. The assistants that he has with him during the workshops are also very knowledgable and helpful. As a novice photographer, it was so great to be surrounded by people who wanted to share their knowledge of photography. During this workshop I learned more about what the proper "f" stop can do for you from capturing a sun burst to making waterfalls look silky and dreamy. I also learned how to use a circular polarizing filter. I felt comfortable asking questions so that I could understand how to capture the images that I was seeking, even if I asked the same question more than once. In addition to the nuggets of photography information, I came away with some new friends and that is priceless to me. A Randall Sanger workshop will not disappoint. You are sure to catch the "waterfall bug" after this workshop. I look forward to attending his other workshops that he offers." "After attending my first workshop in the Potomac Highlands of WV with Randall Sanger I am a more knowledgeable photographer. 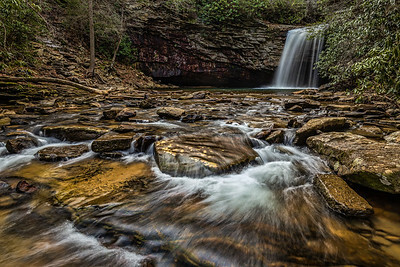 Randall will lead you to some of the most spectacular waterfalls and epic vista's that exist. He will suggest where you need to set up your camera, settings to shoot and what compositions work best for each subject that you encounter. You will learn how to "Dominate" your camera to obtain spectacular images of any subject under any weather condition. Post - processing techniques will be covered that are invaluable for final results to your images that will have you so excited about your photography. Not only is all this and more offered to you by a gifted and experienced photographer that Randall is, it is offered up by his wonderful personality and his passion to help other's in advancing their knowledge in "shooting" spectacular images. I might add that I have been a freelance wildlife photographer for over thirty years with over three hundred of my images having graced magazine covers. You can never stop learning and you certainly will while attending a workshop led by Randall Sanger. But the biggest bonus is you will be gaining a new friend. Priceless!" "Having participated in multiple photography workshops, I feel many don’t deserve the label “workshop”. At best, they are merely carpools with quick stops to point/shoot before moving between locations. That is not the case with Randy’s workshops. Not only is Randy a respected professional, he is also a great teacher. His workshops are designed to help all fellow photographers regardless of their experience level. Randy takes the time to explain photography in a manner that is easy to understand and quick to implement. Also, his approach makes for a very relaxing, engaging and entertaining time among the group. I highly recommend you consider taking one of Randy’s workshops – it is worth the investment." "When you look at Randy’s work, you immediately know he is a great photographer. But what you do not see is that he is also a good person and a great teacher. The minute I met Randy I knew I was in the presence of someone who cares deeply about people, very passionate about photography and about sharing his knowledge with others. Randy possesses a pleasant and gracious manner that facilitates his interactions with others and allows him to work one on one with photographers at any skill level. Randy knows the New River Gorge and Potomac Highlands areas better than anyone. Not only will he take you to beautiful locations but he will also make sure you get there at the right time of day to capture stunning images. I would highly recommend Randy’s workshops to anyone interested in capturing the beauty and diversity of the great state of West Virginia." "I had the great opportunity to participate in a workshop with Randall conducted in the highlands of West Virginia. It was my first workshop with him and I’m certain it will not be my last. I chose to join this group to get a new perspective on some familiar places, learn from others, and hopefully capture some quality light. Randall’s workshop delivered on that and much more. 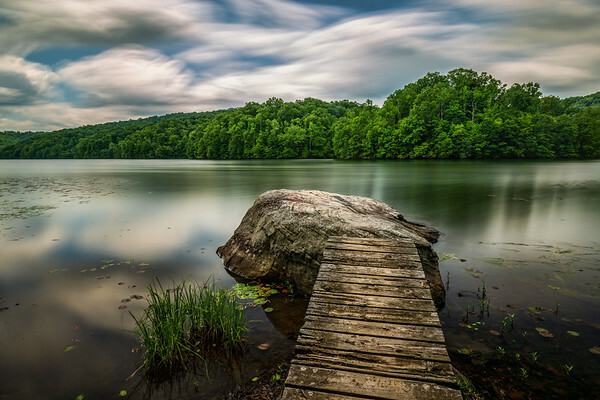 Randall is known across West Virginia as one of her premier landscape photographers. As you shoot beside him in his workshop you understand why. Randall facilitates an openness and willingness to share information, to teach, to learn, and to be sure that each person has the best chance to come away with the shot they are trying to compose. We benefited greatly from excellent instruction on the use of our particular equipment, how the weather in that region contributed to our compositions and lighting, how to improve our overall compositions, and how to understand natural light in that environment. Everything was done for the participants in order to increase the number of “keeper” images we would take home and improve our skills. There was obviously a large amount of work that went into scouting the shooting locations, getting the group into the right place ahead of the light, and all of the logistical items that come along with providing a quality experience for the participants. When someone like Randall is willing to offer a weekend of his time, share his photographic knowledge, assist you with improving your skills, and make the entire time enjoyable, how can you possibly go wrong? I highly recommend Randall’s workshops to anyone wanting to experience new areas and improve their photography." "If you haven't signed up for one of Randy's workshops, do it now. You will learn so much about how to improve your pictures, gain some great new friends, come home with great images, and most of all you will have a great time! Randy knows West Virginia and where to go to get the best compositions. He is very patient, and is a super nice guy to be around. Sign up -- you'll be happy you did!" "Last fall I was in my first Randall Sanger Photography workshop, and this spring I was in another one — and I would like to take more. Randy’s workshops provide great experiences for photographers, whatever their level of experience and skill; the capped, small size of each workshop is a definite plus in this regard. 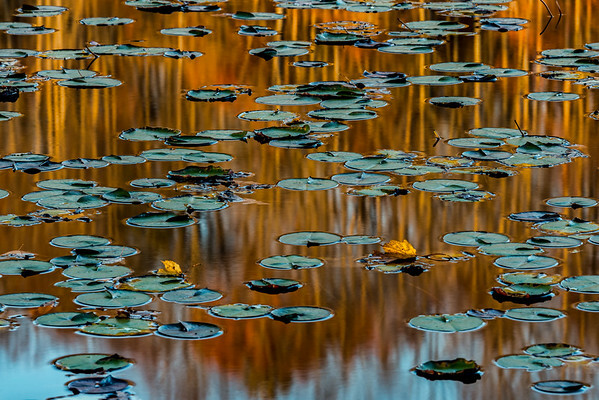 Randy’s own photographic skills are outstanding, and he is both willing and able to share his knowledge with workshop participants in an unhurried manner, one on one. 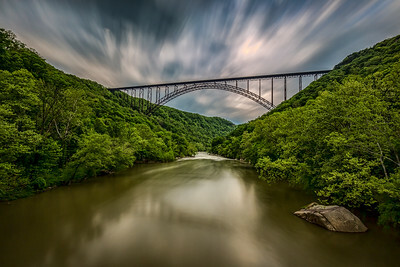 Perhaps as impressive as his photographic and instructional skills is his knowledge of the workshop settings in the New River Gorge and the Potomac Highlands/Canaan Valley areas of West Virginia. The workshops have taken me to many beautiful places, several of which I would not have gotten to on my own, and have provided me with new information and skills to help me capture better photos. I enthusiastically recommend Randall Sanger Photography workshops." "Thank you so much for the wonderful experience that you create with your workshops. I thoroughly enjoyed every aspect of the recent New River Gorge workshop - learning technical skills, visiting all the sites, meeting you and all the participants and the conversations along the way. A true pleasure! It helped my technical and creative skills and encouraged my passion for photography at the same time." "When speaking about Randy's photography workshops and tours, I like to steal a line I heard from a friend of mine once..."he's better than Google". I had the fortune to attend three separate workshops with Randy this last year. And with every workshop I wanted more and more. He is an absolute great guy, very patient and takes care of his clients needs. His knowledge of his workshop locations is unrivaled. I have attended many workshops in the past and with some workshop leaders, you don't get the feel that they can cater to the experience levels of all that are attending. With Randy, I could tell where he could tailor his instructions to the distinct needs of his many clients, a real plus when visiting new locations. I would absolutely recommend Randy to anyone, especially those who want to get the max out of a photographic experience." "A Randall Sanger Photography workshop is a great experience, a wonderful combination of visiting beautiful locations and learning to capture better photos of them. 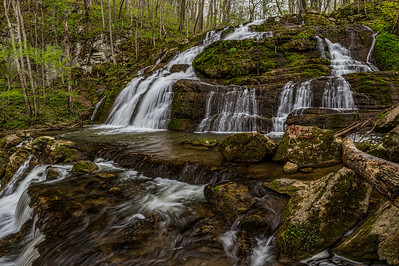 Randy knows the West Virginia landscape intimately, including locations of an amazing number of waterfalls. He also knows many super sunrise and sunset locations, and to help provide good experiences for workshops participants, he uses modern technology to help determine the best times for visiting these locations. Besides knowing where to get outstanding photos, Randy also knows how to capture them. His personal photography skills would have little relevance to workshop participants, however, without his desire and ability to help others develop such skills. At this, he is very good, indeed, imparting information clearly and patiently — any question is appropriate, even the second or third time around. I’ve been a photographer for many years, and have been asked to sell several images (I’m not seeking to sell photos), but I have learned a lot from Randy to make me a better photographer. 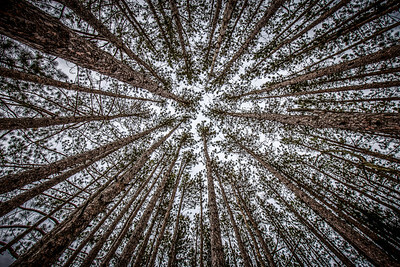 Photographers at any skill level can benefit from a Randall Sanger workshop." "Randall Sanger is a fantastic photographer, but he is also an outstanding teacher. I have learned so much from him both about life and photography, and I highly recommend his workshops. You will have a wonderful time seeing some amazing places alongside someone who knows all the secret spots and who loves helping others become great photographers like him. You will be blessed. Whatever he charges is worth every penny. 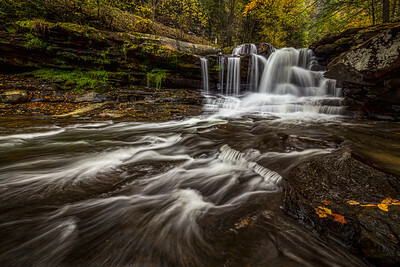 You will come away with wonderful ideas on composition, shooting in the right light, exploring special unique places in West Virginia, and a continued friendship long afterwards." "I wanted to say from the bottom of my heart "THANK YOU" for the opportunity to be with you, share in your knowledge, learn from you, see the stunning beauty that you took us to and being willing to so freely GIVE to help another learn from you're expertise. You are NOT just an incredible-set apart professional photographer Randall - you are an amazing person- compassionate heart--filled with kindness. My husband and I BOTH thank you for the time we were able to spend with you. WE are blessed that we feel we have gained a FRIEND! May the LORD increase and bless your photography like you never knew OR dreamed possible!" "A workshop with Randall Sanger is an opportunity to experience amazingly beautiful locations showcased by a master of his craft. Randall not only brings you to these locations, he teaches you to see and work with your photographic equipment in ways that elevate your personal portfolio to completely new levels. I’ve now completed two workshops with Randall and have a third booked for this spring, and cannot speak highly enough about the total experience. From my first initial contact, to booking the workshop; Randall’s engaging personality and obvious passion for photography are evident and greatly appreciated. He offers fantastic service and real-world advice that is easily applied to start seeing immediate improvement in your results. I cannot speak highly enough about his service and the quality of his workshops - much less the opportunity to spend time with someone so talented. I recommend Randall Sanger with the utmost regard." "My very first workshop was with Randall, from the very first time I met him I had a feeling that this guy was a true genuine caring friendly person. Randall is passionate about his photography and is more than willing in sharing his knowledge and giving each individual as much time as needed in what ever it takes to make sure they become a better photographer. 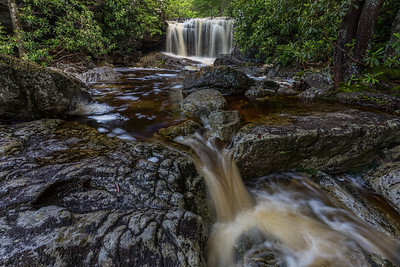 You can not ask for a better teacher in all aspects of photography and if you want to explore some of West Virginia's beautiful waterfalls and beautiful landscapes then there is no better person to be with than Randall Sanger. 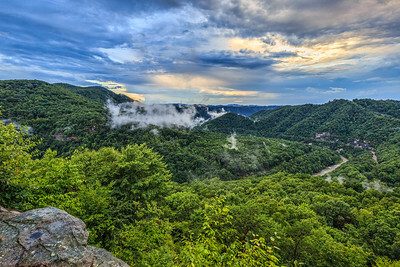 There is no one who knows the beauty of West Virginia better than Randall. Not only did I come away with some beautiful photographs, I also came away with a friend that will last a lifetime, I highly recommend booking a workshop with Randall Sanger." "My private workshop with Randall Sanger was so much more than a workshop about photography - it was truly an "experience of a life-time." Not only was I filled with a sense of awe at the beautiful images of waterfalls, sunrises and sunsets that Randall helped me capture, I was filled with eager anticipation about my next opportunity to learn from him. He helped me take my photography to a new level. 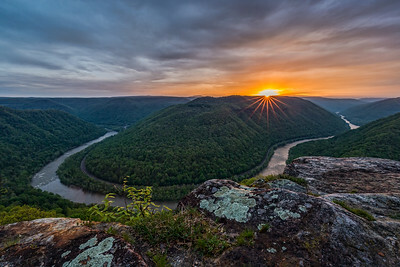 Randall is not only a gift to the world of photography, he is a gift to the state of West Virginia, a true son of the Mountain State who not only appreciates its beauty, but is able to capture the essence of the many treasures that abound within its borders."